would love this in a kitchen to add more color! 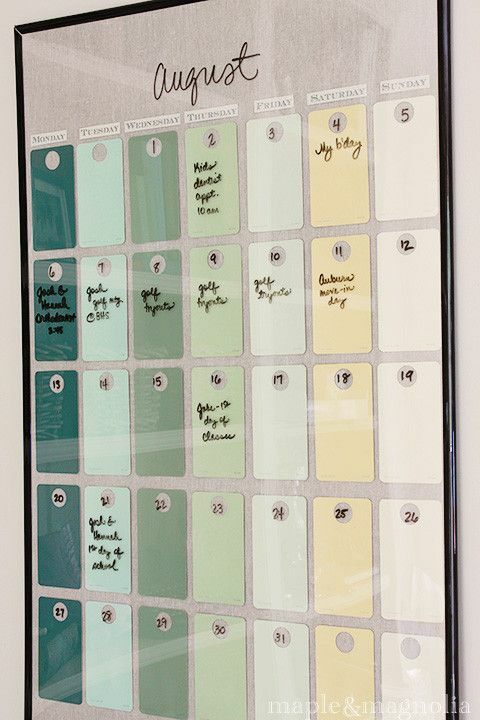 -- Paint chip calendar made from paint swatches and a glass frame. Use Expo markers to write atop, erase each month. Love this DIY idea. DIY Backyard Fire Pit: Fire Pit Weekend Revealed! - ! Small Bathroom Vanity for the guest bathroom. Robin's Egg Blue...love this for a front door! Such an elegant statement. Eight tips for Renters (or for anyone) That won't break the bank!